I would first like to compliment you on your site and information! I stumbled across this looking for relief for “anterior tibial tendonitis” symptoms. Although, I have not been formally diagnosed with this, it seems that I have some of the symptoms. A little history about me: I begin running in 2010 and suffered a stress fracture on my upper tibia, kept running before getting it looked at and this developed into a full fracture. That side-lined me for 6 months from running. Got into cycling & swimming to work through cardio. Basically got hooked on cycling and resumed running once I was able to. Because of my injury, I learned to better pay attention to my pain observations. I did develop a muscle hernia in my lower leg which was due to the fascia being weak about a year after the fracture. Now I am feeling this new soreness after my longer runs (10 miles) that I believe may be anterior tibial tendonitis. The above issues are all in my lower right leg. My question is what is your recommendations? I felt this new soreness for about 4 days now and did the RICE and also started using my foam roller for “Foam Roller Exercises and Stretches for the Gastrocnemius Muscles (Calves) and Anterior Tibialis Muscles (Shins)” section. It did bring some relief, but I see that you warn about not doing foam rolling until no soreness is felt somewhere on your site because it could further damage the troubled tendon? I would like to be more into stretching and prevent these types of problems. I would also like to not take a long time off of running as I am fairly competitive. I appreciate your feedback and look forward to your advice. Seems to me like you are starting off the New Year on the wrong leg, so to speak. I am afraid you will not like my advice. In 3 short years you have suffered 3-4 major problems with your right calf/tibia. How many more will you have to suffer before you get the message that whatever you are doing, it is too much??? With whom are you competing? Some ideal of yourself? Comparing yourself to someone? Some nebulous fitness goal that is unachievable? What motivates you to punish yourself? Are you an exercise bulemic? (see my article on that: Exercise Bulimia) Are you addicted to a runner's high? I find it interesting that you omit your age from your information. Everyone does! Based on your ability and desire to run 10 miles at a time, I am guessing that you are under 40. Most people do not think that age matters, but I am afraid it does. What crazy things did you do before you started running, that may be contributing to your overuse of your right leg? If you are so "competitive" (which I would do some soul searching as to why) and "addicted" to cardio, you will have no choice but to stay off that right leg in order to feed your addiction. Stick with the cycling and swimming. Although cycling requires some weight bearing on the right leg, if your problem is truly tendinitis, then cycling may provide some relief merely by varying the activity. However, swimming would be the least problematic. Foam rolling the area may be beneficial, however, with your history of abusing your leg, I would not advise it, since you are a push-through-the-pain type of person. In fact, I am sure you are a push, push, pusher in all things. People who abuse their bodies abuse themselves in all things. 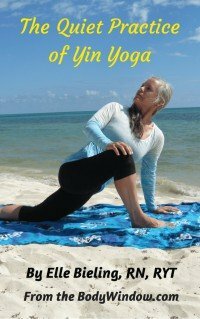 I would recommend, truly, that you start taking yoga, to help you rehabilitate and reconnect your body with your mind and soul. Find someone who more than just takes you through the motions. Find a teacher/guide who will help you listen to your body better. Be kinder, nicer to yourself. This problem that you have will only get worse as you get older, of this I am certain! If your body wears out before your mind and it's pushing, what will you do then? Sit on your bum for the rest of your life? I would love to help you rediscover yourself, to find peace and healing, for the reasons you push yourself so hard. If something inside you is responding to my words, some inner knowing, I would love to help you more. But it will not be about how to keep on doing whatever you believe you need to keep doing! I offer holistic consultations, and you can go here to learn more: Holistic Health Coach. a short time and not be able to do them at all! But it's difficult to convince myself of that. I am married and my wife is active as well in other exercises like the gym and roller derby, yes roller derby, but she is not nearly as "competitive" as I am. I really appreciate your feedback and want to look through your reply more in detail when I have more time to do so...but I know I need some kind of a change in my patterns. I do really love to run so I'd like to keep that up!? Self awareness that only comes through reflection, is necessary for assimilation and change. Go for it! Take all the time you need for reflection. It will help you enormously. Keep reading my website, you will receive lots more pertinent information. Staying active is wonderful and paramount to one's body-mind-soul health. However, you can do it without wearing out your body by beating it up. The essential ingredient is FUN!! And diversity too. Yes, you can continue to run, but only with great care going forward. But first you need to listen more to your physical presence and stop using your mind to beat it up!! So, NO running for now. I look forward to hearing how you do. Blessings, and a healthful, healing, active New Year!